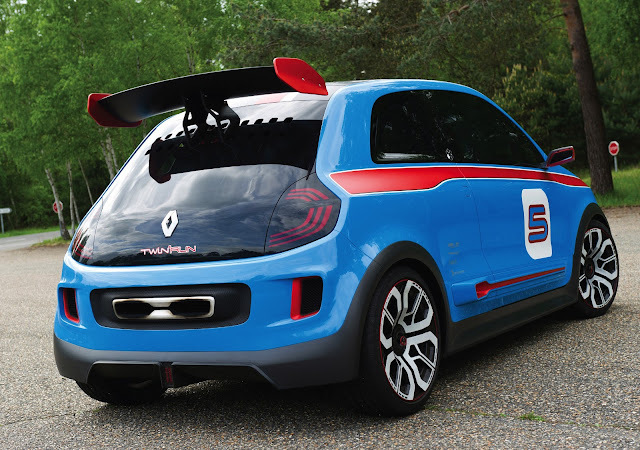 This is the very appealing but appallingly named Renault Twin'Run concept. 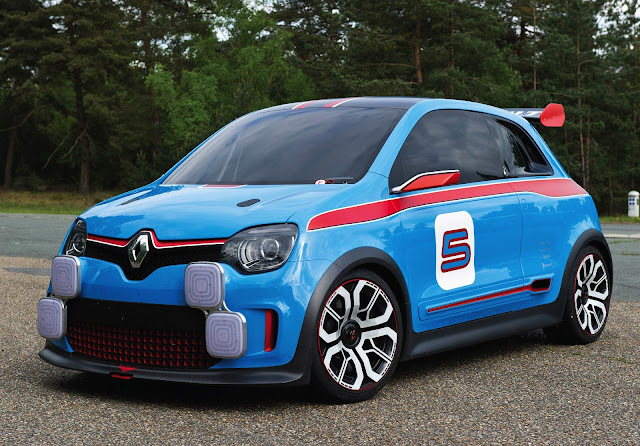 It's got a 3.5 litre V6 with 320hp nestled just behind the front seats and is an homage to the Renault 5 Turbo and Clio V6. 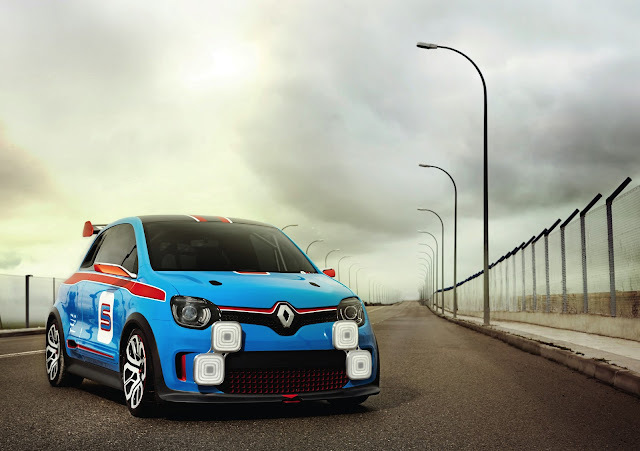 It's not road legal, but will take a few runs round the Monaco GP circuit this weekend. The Twin'Run is rear wheel drive and does 0-60mph in 4.5 seconds. Hands up who wants Renault to make a road going version. Here's the daft as a brush video for the daft as a brush Twin'Run.